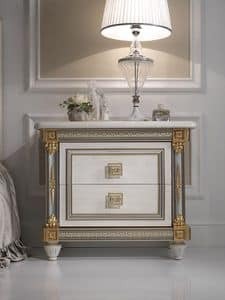 Arredoclassic creates pieces of furniture of classical refined design for different rooms of the house, from the living area to the sleeping room. Style and sophistication merge with the highest quality materials and craftsmanship in order to create products of excellence, exclusively made in Italy. 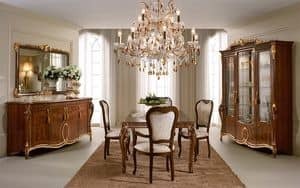 Founded in 1998, the company has treasured the long manufacturing tradition rooted in its territory, the region Marche, one of the leading furniture districts in Italy. Its founders have gained over forty years of valuable experience, then integrated with the innovative dynamism of the younger generation who over time has enriched the management team. The bond with the territory is reflected in another important value: the passion for harmony and elegance, typical of the Italian classic style. 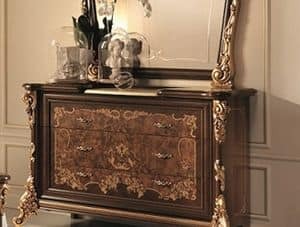 In fact two great masters of art and music, Rafaello Sanzio and Gioacchino Rossini, symbols of the culture of beauty which in Arredoclassic becomes design, were born here. Each collection has its origin in a shape, a frame, a little inspiration that develops harmoniously on all elements, like inside a composition. 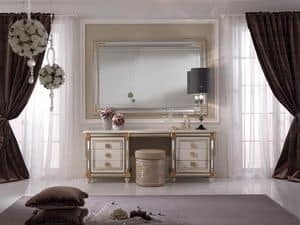 Single finishes may well accompany and furnish every room of the house, coordinating between them bedrooms, living areas and lounges. The Arredoclassic house reflects in a masterpiece the unique personality of those who live in it. 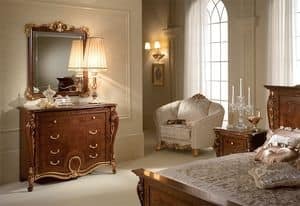 Luxurious atmospheres spread throughout all home environments, enriching them with original craftsmanship, high quality materials and fine details, such as mother of pearl, gold leaf, Swarovski, fabrics and velvet that catch the light and seduce the senses. At the heart of his philosophy, the brand has always placed the most accurate analysis of details and the continuous research of materials and technologies. 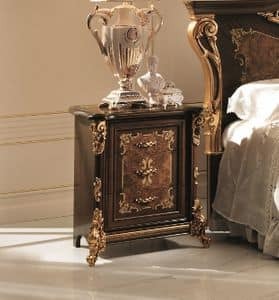 Each furniture piece is the result of an original combination of aesthetics and functionality, designed to last in time thanks to style and strength. 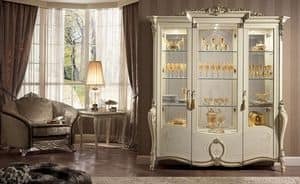 The Arredoclassic collections are marked with the "Made in Italy" Certificate, which guarantees the authenticity, reliability and excellent quality. Thanks to the ability to understand trends and to merge tradition with innovation, Arredoclassic has reached an international leadership that still continues to grow, without ever forgetting its own identity and values. To testify its deep attention in enhancing the brand, Arredoclassic now presents the new Corner Shop. 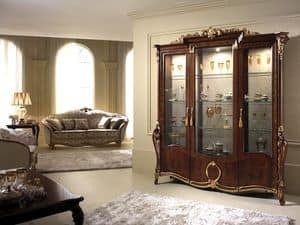 Exclusive outfits that welcome the public into the stores network, with home environments of rare elegance, enriched with precious curtains and woodwork, offering the unique experience of the Arredoclassic world.